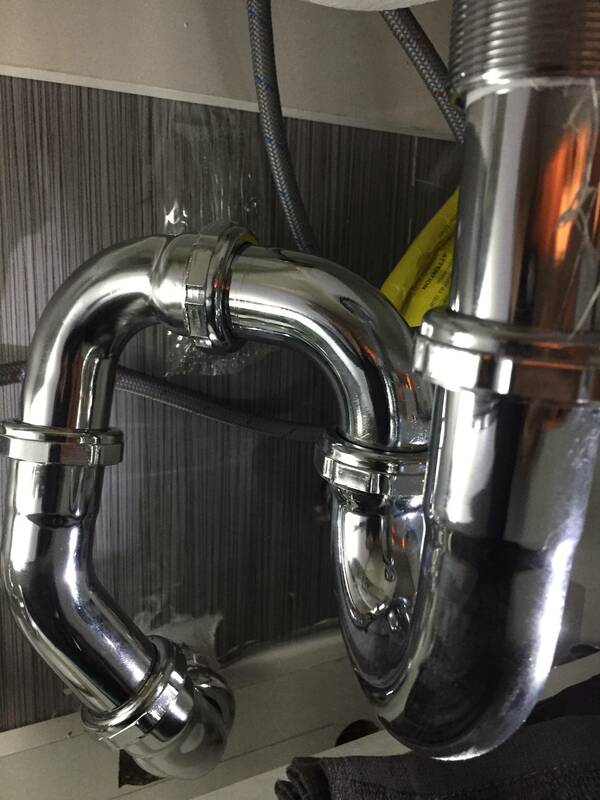 Is bathroom sink pipe configuration up to code and does it have a trap? We recently renovated our bathroom in our apartment building and noticed the bathroom sink wasn't draining poorly. Our contractor said it just needed to be unclogged, which he said he did and now it appears to be draining properly. 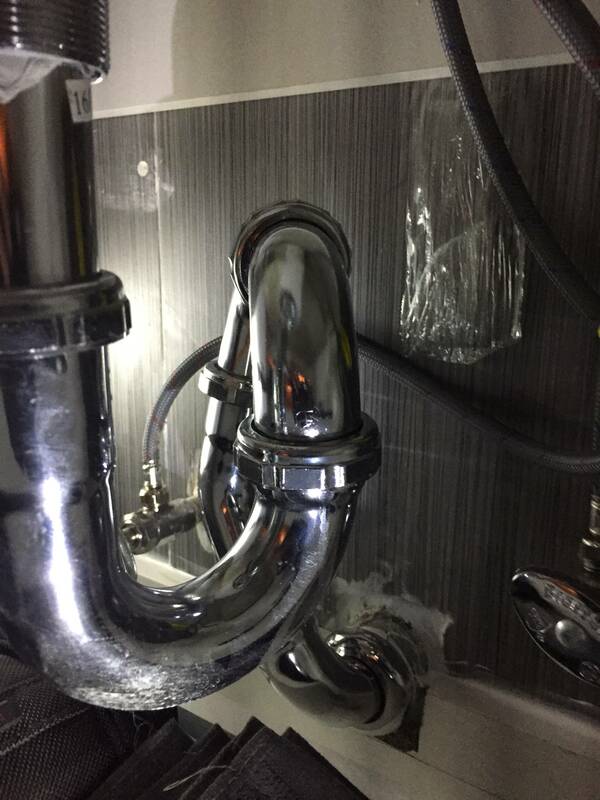 However, upon inspection of the pipes underneath the sink and enclosed in the vanity, we noticed the configuration of the pipes looks strange, like a roller coaster with multiple loops. We were told they did it that way to accommodate the drawers so the bottom drawer would close since it didn't have a cutout to accommodate the pipes. We are concerned that the pipes may not be be up to code and have recently heard about P trap drain and was wondering if our pipes have that trap or any trap for that matter. Any possibility of this configuration causing blockage/backups again in the future and possible leaks/burst pipes also? It looks like the original installer didn't quite have the correct combination of pipes and and fudged things a bit. It's perhaps not optimal but fine to leave as is. There is a trap which is the bit that goes down and then back up in a classical U-trap. There is water in that section to block the foul smelling air coming back up the drain. Not the answer you're looking for? Browse other questions tagged plumbing bathroom sink or ask your own question. Should I secure a free-standing vanity sink to prevent drain pipe damage? Is it wrong to connect multiple J-bends (traps) together? How can I reduce the sound of my HVAC condensation drain?